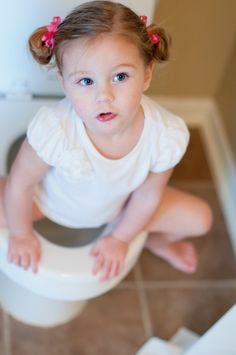 The day prior to Sally being potty-trained, we talked about how the next day she would wake up and start going pee in the potty like a big girl. And then the morning of, she woke up, I took her diaper off, and let her be a free woman. She wore no pants or underpants of any sort, to help her be more aware of her bodily functions.